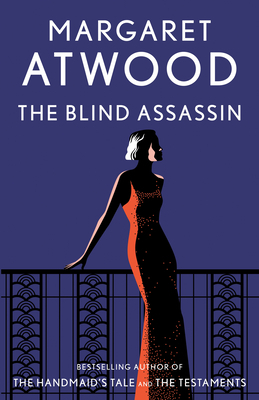 In The Blind Assassin, Margaret Atwood weaves together strands of gothic suspense, romance, and science fiction into one utterly spellbinding narrative. The novel begins with the mysterious death—a possible suicide—of a young woman named Laura Chase in 1945. Decades later, Laura’s sister Iris recounts her memories of their childhood, and of the dramatic deaths that have punctuated their wealthy, eccentric family’s history. Intertwined with Iris’s account are chapters from the scandalous novel that made Laura famous, in which two illicit lovers amuse each other by spinning a tale of a blind killer on a distant planet. These richly layered stories-within-stories gradually illuminate the secrets that have long haunted the Chase family, coming together in a brilliant and astonishing final twist.